Anil Kumble (India), Shane Warne (Australia) and Muttiah Muralitharan (Sri Lanka) are famous and successful spinners in the world of cricket. Anil holds the record of taking maximum wickets for India both in test and one day international cricket competitions. Until 2007, Shane Warne was the bowler to take maximum test wickets when Murali surpassed him. Murali has taken highest number of wickets in both forms of the game. It is interesting to note that Anil Kumble is one of the only two bowlers who have taken all 10 wickets in test innings; the other being Jim Laker of England. Anil Kumble was born in Bangalore, Karnataka. He joined Young Cricketers Club at the age of thirteen. He was intelligent student and graduated in the field of Mechanical Engineering in 1991-92. He is commonly known as jumbo as his bowls are as fast as a jumbo jet engine (for a spinner). In the 1983/84 season Shane Warne represented the University of Melbourne Cricket Club. He made his first class debut in 1991 for Victoria against Western Australia. Murali has an Indian origin and hold OCI – overseas citizenship of India. He chose cricket to be his career in school time and started as a medium pace bowler. He was then advised by his school coach to try off-spin bowling. He was fourteen at the time. Jumbo is a right arm leg spinner and is famous for his flipper, and is known for his accuracy, bounce and variation. As he started as a medium pace bowler, pace is not a problem for Kumble. He made his first class debut in 1989. In 2004, he became the third spinner to capture 400 wickets in Test cricket. In the same year he became India’s highest wicket taker by breaking Kapil Dev’s record of 434 wickets. Muttiah Muralitharan is the only wrist spinning off spinner. Besides off-break he is famous for his dusra and fast topspin delivery. No less than 67 times Muralitharan took 5 wickets or more in an inning. He is the highest wicket taker in the world and surpassed Shane Warne in 2007 by taking his 709th wicket. In 2010, he became the first bowler to take 800 wickets in the history of cricket. Shane Warne grew up in Black Rock, Victoria. He took 708 test wickets with a bowling average of 25.41 in a total of 145 test matches. Before the 2003 World Cup it was found that he consumed a banned substance and was banned for a one year period. Anil was presented with the Arjuna Award in 1995, Wisden Cricketers of the year in 1996 and Padma Shri by the government of India in 2005. Murali won the title of Wisden Leading Cricketer in the world in 2000 and 2006. Warne-Muralitharan trophy was introduced in 2007 after Shane Warne and Muralitharan. The government of Sri Lanka felicitated Murali for breaking the world record of the highest number of test wickets. Shane was chosen to be BBC Sports Personality of the Year in 2005. In 2006, Southampton Solent University awarded Warne a doctorate for his services in cricket. Anil Kumble was born in Bangalore, Karnataka. Jumbo is a right arm leg spinner and is famous for his flipper. In 2004 he became the third spinner to capture 400 wickets in test cricket. Anil was awarded the Arjuna Award in 1995, Wisden Cricketers of the year in 1996 and Padma Shri by the government of India in 2005. Made his first class debut in 1991 for Victoria against Western Australia. He took 708 test wickets with a bowling average of 25.41in a total of 145 teat matches. In 2006 Southampton Solent University awarded Warne a doctorate for his services in Cricket. 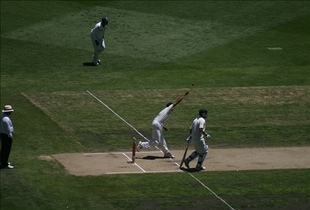 Murali scored the highest number of wickets in both forms of the game. In 2010 he became the first bowler to take 800 wickets in the history of cricket. Murali won the title of Wisden Leading Cricketer in the world in 2000 and 2006. Besides off-break he is famous for his dusra and fast topspin delivery. Shane warne is the best spinner of all. There is no comparison. Yes, one can compare. Muralitharan has a better average and strike rate, and took 92 more wickets in 14 fewer tests. Also, he performed better against Sachin and Lara. Plus, the way he held his own even after being repeatedly called for chucking, is worthy of applause. For the usual argument that he took many against Zimbabwe and Bangladesh, records show that Murali's record against individual nations other than those two is also better than Warne's. In fact, Warne also took many of his wickets against England, whose batsmen in the modern era have shown no aptitude while playing spin. Murali didn't get to play anywhere near the same amount of matches with England. So, yes, there can be made a comparison, in every possible way. And choosing Murali over Warne should not come as a surprise. Of course, choosing Warne over Murali should not come as a surprise either. Warne is the best bowler of all time. Murli is a thrower. Kumble is great. But Warne is the greatest. Warne is a horny dog. He only took wickets against England, newzealand and other teams that do not know how to play spin. Warne was useless against India, pak and srilanka. Moreover Safrica and west Indies hammered him many times. Kumble was the greatest. He had a clean action, took 618 wickets. and was never caught in controversy. He was also a much better bowler than many people give him credit. he took bucket loads of wickets against every team big and small.